APPLICATION FOR VENDOR OPPORTUNITIES ARE NOW OPEN! 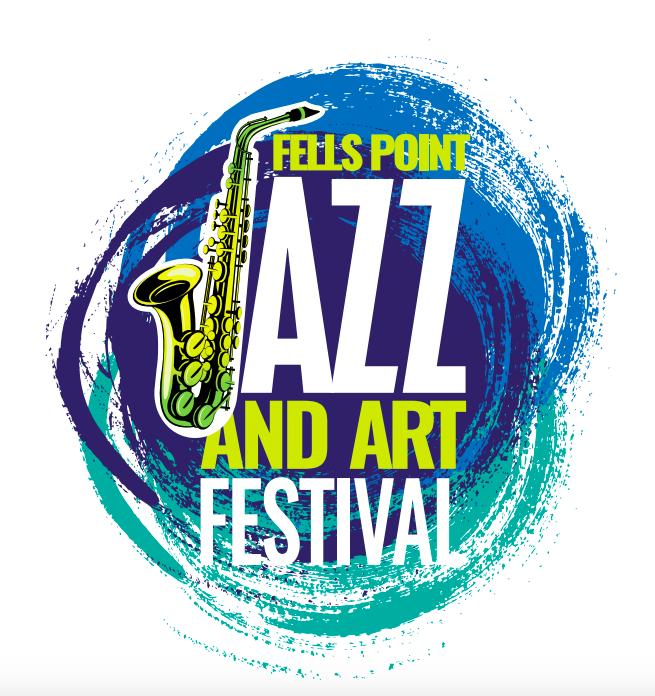 Fell's Point Main Street is excited to be hosting the 2nd annual Fell's Point Jazz & Art Festival, a community event to showcase the amazing artists and musicians Baltimore - and Fell's Point! - are home to. Hours: Saturday, May 11th - 11 am to 7 pm. Vendor Booths will be located on the newly renovated Broadway Square and along the Recreation Pier in the heart of Fells Point. Exact vendor locations will be handled by Fell's Point Main Street and no guarantee of specific locations can be given. This is an outdoor wind, rain or shine event. Be prepared for all types of weather, including heat, wind and sunlight. Fell's Point Jazz & Art Festival: Saturday, May 11th - 11 am to 7 pm. Brick-and-Mortar Fell's Point Businesses will have first access to vendor space. After their Application Deadline of April 20th we will begin to contact outside applications through May 8th. Vendor opportunities are a mix of food, commercial art, handmade art, and non-profits with tiered levels of vendor fees. 75% of the event will be handmade art from artists and artisans. There are a limited number of commercial art and food vendors that will be accepted. Proof of nonprofit status is required to qualify for the nonprofit price and in order to qualify for the handmade price, artists must follow strict guidelines and exhibit work of original concept, design and execution. Only work handmade by the artist named on the application may be sold. To qualify for the handmade vendor pricing: no imports or items made strictly by a process, with little artistic merit will be accepted. (No molds, kits, stamps, pre-packaged food, doll clothes, ceramics from molds, etc. This includes items contracted out and/or made by someone else, or items purchased for resale.) Artists must be present at the show. During the event, committee members have the authority to request that any items deemed inconsistent with the work submitted in the application in artist statement be removed from display/sale. Artists not in compliance will not be allowed to participate in future years. The committee’s judgment is final. Note that the selection process is juried and vendor applications are subject to committee approval. Preference will be given to Fells Point brick-and-mortar businesses and outside vendors selling comparable items will not be approved. There are a limited number of food vending opportunities and Fells Point businesses have right of first refusal. We will not accept any beverage vendors and do not allow our vendors to sell alcohol. Commercial product and art vendors will be limited and will be accepted on a first-come, first-serve basis. 75% of vendors will be vendors displaying/selling handmade items. Approval from the committee is mandatory. We will have flat fee vendor parking available at Premium Parking, located at 1400 Dock St. 3 blocks from the festival. Insurance: Per Baltimore City law, all artists must carry their own insurance, including liability coverage, and provide a COI in advance to Fells Point Main Street. Check in is Saturday 8 am - 10 am. You must register at the Information Booth when you arrive. You may unload/load your vehicle by double parking around the square, but your vehicle must be moved to a parking lot IMMEDIATELY AFTER unloading or loading. Please be considerate of other artists. There is NO PARKING in the Square. Someone must be responsible for your booth at all times including set-up, tear down, and during the show. You may sell only those items listed on your application (Artists will be asked to remove items not included or not of the quality represented in the application). Stakes mark the front of the booth, do not put product beyond the front of booth. You MUST have weights for your tents. Any tents without weights will be asked to be taken down immediately. Booth spaces are 10’ x 10’ or 10' x 20'. Spaces are not transferable or refundable. Exhibitors must provide their own means of display, including a 10x10 or 10x20 tent, tables, chairs, and all necessary equipment. We do not refund vendor fees for no shows or cancellations less than 72 hrs before the event - all requests must be sent by 11 am May 8th - no exceptions. Cancellations should be sent to director@fellspointmainstreet.org. You are responsible for your own garbage. This means we require you to clean up your area including string tags, cigarette butts, etc. It must all be picked up by hand at the end of the show and carried to the pick up location indicated. On Site Staff: Staff will be identified by lanyards.